If your car gives up the ghost somewhere on the highway amidst two cities, don’t panic and blame yourself. Even the newest and coolest cars aren’t secured against a breakdown. Whatever your problem is – lost keys, a flat tyre, or a broken engine – the scenario of your ‘salvation’ will depend on whether you are covered or not. The tyre dealer Tirendo will tell about the benefits a breakdown cover offers. What are cases when you cannot drive farther? 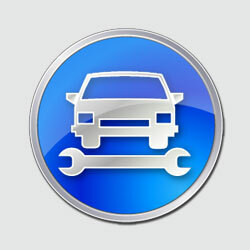 A flat tyre, dying battery, fuel or engine problems, or lost keys are just a few to name… If your vehicle breaks down and you’ve got stranded in the unknown place far away from home, you will definitely have to shell out for a repair (unless, of course, you are lucky enough to have a qualified mechanic just walk by, see your problem and give you unselfish help). You’ll have to search for a local garage, get your car evacuated by their breakdown truck, pay for their call-out and any further repair. With a breakdown cover, if a problem happens, you call the provider and get things sorted out. There are different policies, and, logically, the more you pay, the more you get. The cheapest breakdown policy will cost you around £35, and it will include a roadside recovery (any necessary fixes to get your vehicle restarted or transportation of the vehicle and its passengers to the nearest garage if needed). You will have to pay approximately twice as much for the policy that includes recovery (evacuation of the car and its passengers to the chosen destination or back home). If you want your cover to include a repair service for different kinds of home breakdowns, the cost will start from £85. Covers that include hotel accommodation and replacement transport to help you reach your destination and rescue services in EU countries will cost you £100 and £180 respectively. Which type of cover are you to choose? It depends on your car. If it is new and unlikely to break down, the basic cover is probably enough. If you are an owner of an older car, you must know your car’s weak points and its breakdown history, so choose a higher level of the breakdown cover. What does your breakdown cover exclude? The number of annual call-outs is limited. When is a used car bargain not a used car bargain? A big 4WD and a 20% return on investment in 18 months…you what?